Preethi from WIDI shows how she creates smooth curved seams. Her tutorial includes how to sew the curves, and then how to clip and notch the seam allowances so there’s no pulling or points on a turned curve. 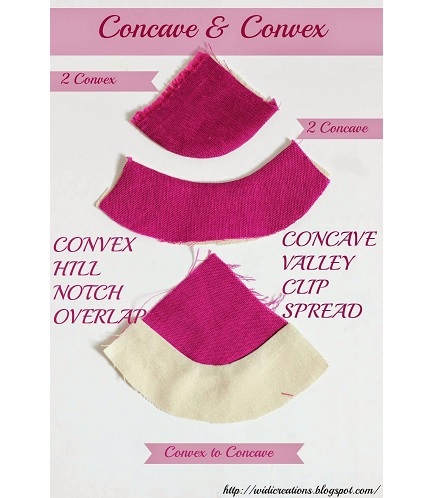 Her tutorial shows how to sew concave curves and convex curves, as well as how to sew a convex curved piece to a concave curved piece. Go to WIDI to get her tutorial.